Joyetech Cubis Coil Head is available in NI-0.2ohms. The 0.2 ohm is perfect for those who want to add a little more power to their electronic cigarette. The lower ohm featured on this coil will deliver a huge and voluptuous cloud of vapor which will easily satisfy even the heaviest of vapors. 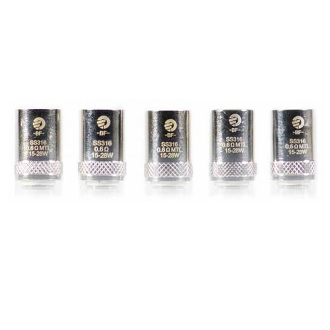 The Joyetech Cubis Coil Heads are made of Stainless steel which is known for enhancing your e liquid's flavor. It is also recognized for giving a smoother hit when switching between Variable Voltage/Wattage and temperature control than other coils made out of a different material.